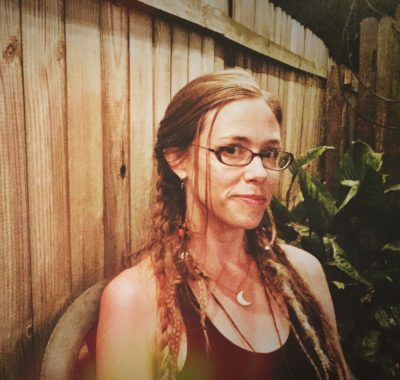 Emily Ruff, founder of the Florida Herbal Conference and Director of the Florida School of Holistic Living, is a community herbalist who has practiced the art and science of plant healing for over a decade. Her studies have taken her around three continents where she has studied under healers of many traditions. Her background in gardening and botany came in childhood while wandering the wilderness and digging in the sandy soils of Florida with her grandfather, a tobacco farmer turned urban gardener, and her father, a botany and astronomy professor. Her journey into herbalism continued through apprenticeships in Guatemala under the tutelage of local healers on the southern coast of Lake Atitlan, in the mountains of Vermont at the feet of Rosemary Gladstar, and in the Central Florida apothecary Leaves & Roots with herbalists Carolyn Whitford and George D’Arcy. Emily’s academic studies include Ethnobotany, Philosophy, and Women’s Studies at the University of Central Florida and Curanderismo with the University of New Mexico. She is a Bach Flower Registered Practitioner.